The car is a De Dion 8HP single cylinder Tonneau Body painted green with white lines and red upholstery. It was owned by Miss Garnett-Orme who lived at Scosthrop Manor, Airton. 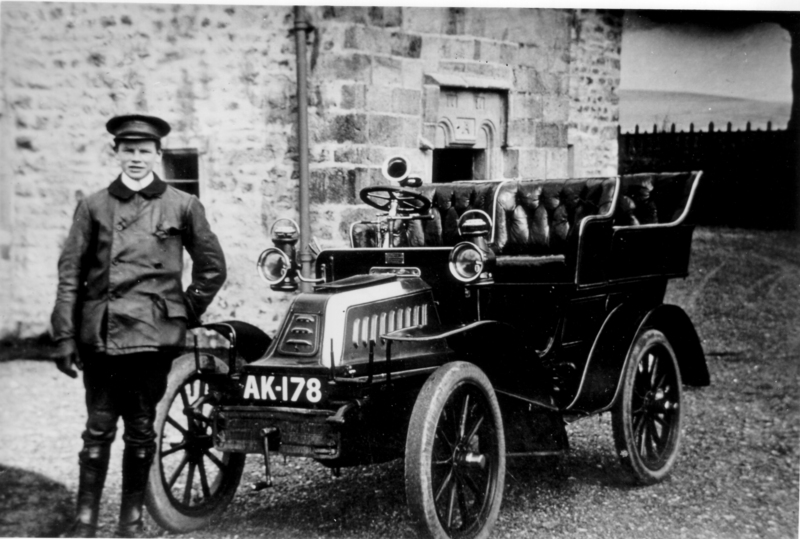 The car was first registered in Bradford in 1904. The car was owned by Miss Garnett-Orme between 1906 and 1910. The photograph was taken outside Scosthrop Manor, Airton.